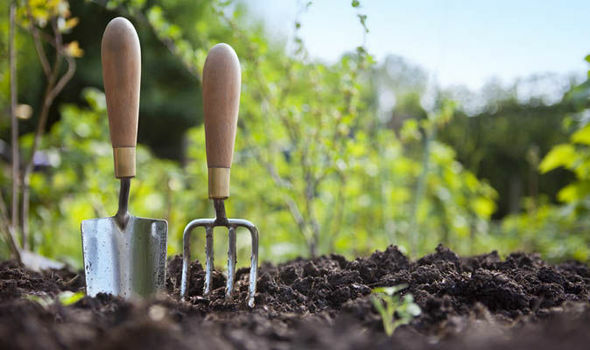 People with respiratory illnesses such as asthma, allergy and aspergillosis are advised to stay away from disturbing/working with soil, compost, mulches, bark chippings and any other dying, decomposing plant material, as these can contain large amounts of moulds. Also, note that ‘real’ Christmas trees are known to start going mouldy as soon as 7 days after cutting & bringing inside! We recognise that gardening is a source of great enjoyment to some of our patients so we try to enable them to carry on if they feel that they would be miserable without. Some tasks are fine (when not handling soil or dead/dying plant material for example) and the use of high quality HEPA grade facemasks (FFP2) can be effective at blocking dust inhalation for fairly short periods of time (they tend to get damp and uncomfortable after longer periods). Try to keep out of enclosed spaces (e.g. greenhouses) and away from flying dust when working, and wash your hands well when finished. We have noted that bags of material (compost, bark chippings, soil etc.) sold in shops can contain large numbers of mould spores sealed into the container. Cutting one of these open in an enclosed space is likely to cause breathing difficulties to people with respiratory problems – so get someone else to do this in a well ventilated area (i.e. outside). There are also thing you can do to reduce the chance of you having an allergic reaction to your garden, even just while relaxing in it. Some plants emit fewer allergens (pollen) that sensitive people react to, so you can reduce the amount of allergen in your garden by using only low allergen plants – that includes your lawn! There is a US plant allergenicity scale called OPALS which is worth looking at to enable you to find low allergen plants. How do I… loosen and clear mucus?